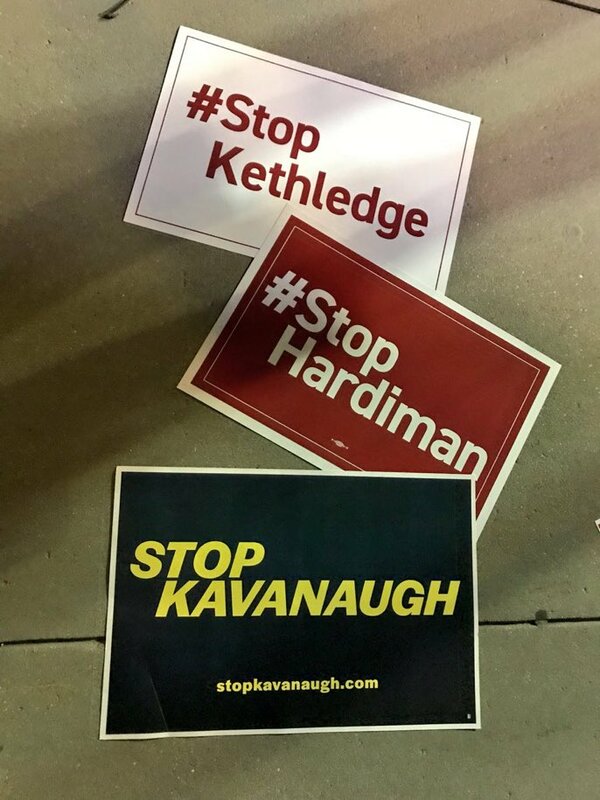 Following President Trump’s Monday evening nomination of judge Brett Kavanaugh to fill Justice Anthony Kennedy’s now-vacant seat, hundreds of protesters outside the Supreme Court broke open boxes of pre-printed “Stop Kavanaugh” signs – wasting a substantial amount of paper as the other Supreme Court nominees’ pre-printed protest banners went unused. Is there a more perfect picture of the Deep State in Washington, D.C.? It never mattered who would be the nominee for the Supreme Court as every prospective candidate had posters pre-printed. It never mattered if the candidate’ was qualified for the position. It only mattered that an issue to marginalize President Trump and his attack on their power would not go to waste. While the Democrats are leading the Deep State charge, there are enemies of the people in both parties. Never forget the “ruling” of the Supreme Court that Obamacare was legal. Justice Roberts is part of the Deep State even if he was blackmailed. Get the popcorn and watch. For now. But we know what is coming later.